We have moved away from the chrome extension to a dedicated desktop application, with mobile coming soon. The extension is still available to support systems like Chromebooks, but should not be used if you can use the desktop version. For more information about why you should no longer be using the extension read this article. 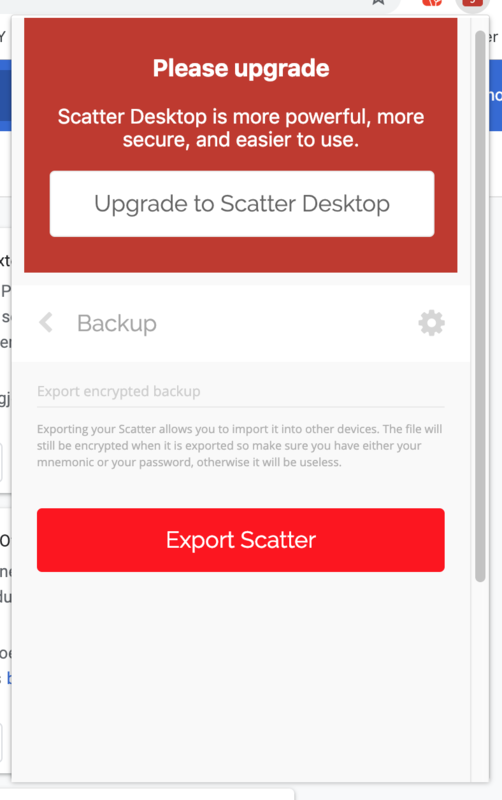 For an easy transition process it is now possible to simply export your Scatter backup from the Chrome extension and import that file into new Scatter Desktop. 3. Export to a secure location. Make sure to keep this backup safe! 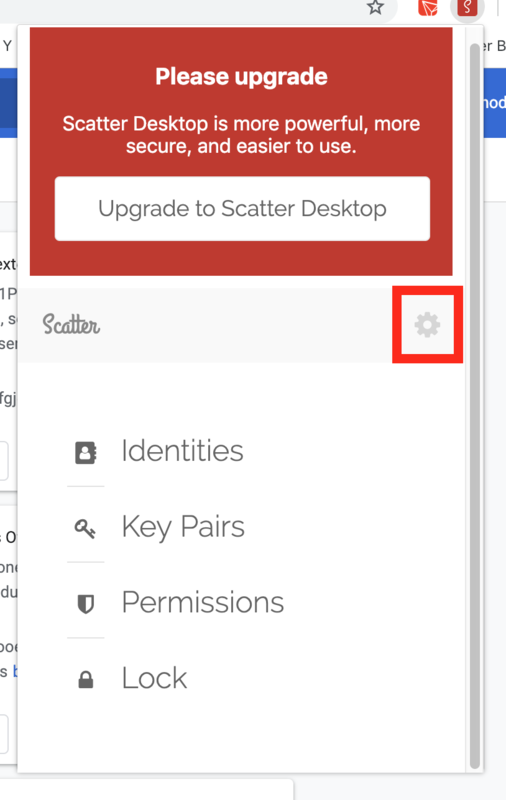 After you have downloaded and installed Scatter Desktop, you'll be asked to create a new Scatter or load a backup file. 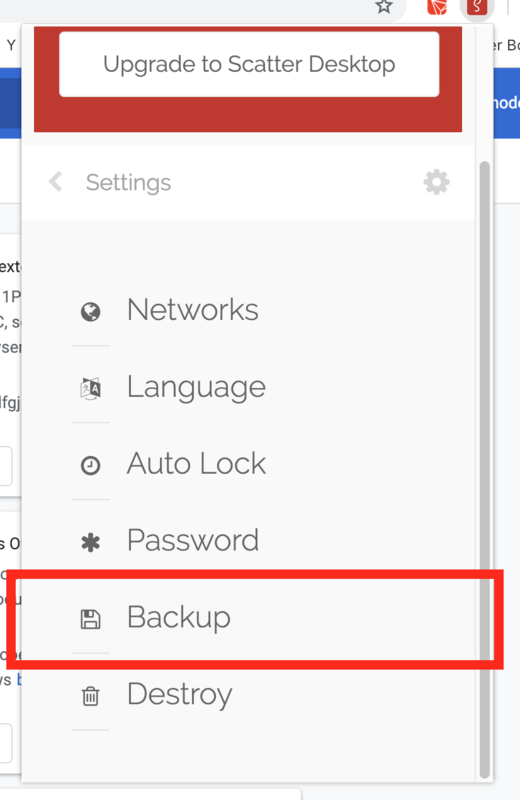 You can load the backup you exported from the Scatter Extension.